I just realized that I am probably going to have to refrain from referring to my classroom as a “pressure cooker” this spring, due to recently constructed taboos, and it’s thrown me into a bit of an existential crisis. I am also worried about the poor pressure cooker industry. I picture the pressure cooker divisions of Presto, and those other heavy hitters in this tenuous market, as handfuls of older gentleman whose moms grew up in the Great Depression and who grew up with the mild manifesto directive that one pressure-cooked the hell out of all of the vegetables. This was not nice, to be sure, but it wasn’t terrorism, and I am sad for the terribly tarnished reputation that is now hanging over all of our heads, especially that of Joe Presto. But how to characterize the explosive young someones who would scream at a blade of grass to shut up because it stole and hid the kid’s green pencil? Who whip paper ninja stars across the room? 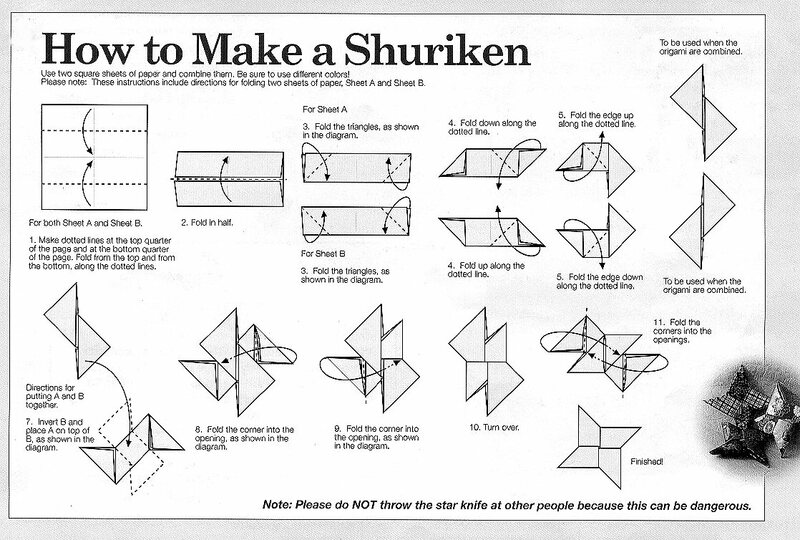 A paper ninja star has some heft, people, and some points. Notice the warning at the bottom of the instructions above. Just goes to show, once again, how these here internets can be used for good or for evil. Still, I come up short on descriptors that reflect the blitzkrieg that rains down in the classroom on any given day, in zero-to-sixty response to the most trivial complaint.